The prosecutor-general is not to be dismissed before mid-March. President Petro Poroshenko has sent a motion to parliament to dismiss Prosecutor-General Viktor Shokin, the presidential press service said late on 19 February. 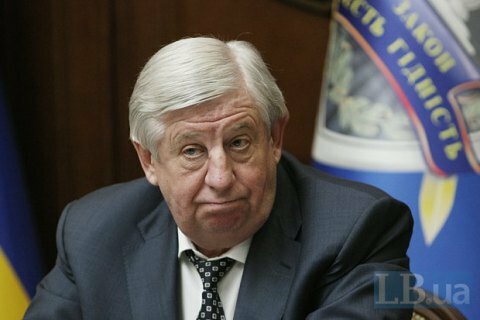 Parliament will be able to consider Shokin's dismissal starting from 15 March when the next plenary meeting is planned. According to the law on prosecution, the prosecutor-general is dismissed by the president on parliament's consent. On 16 February, President Petro Poroshenko suggested Shokin should tender his resignation. According to unofficial reports, Shokin heeded the request, however as it turned out later he was on leave.